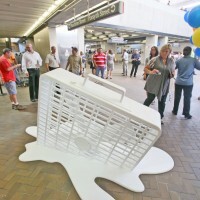 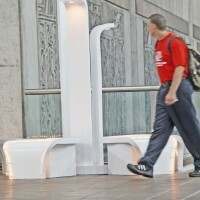 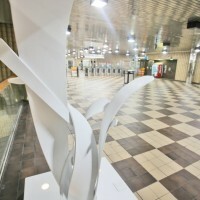 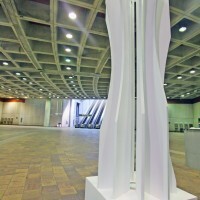 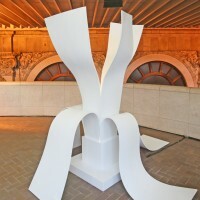 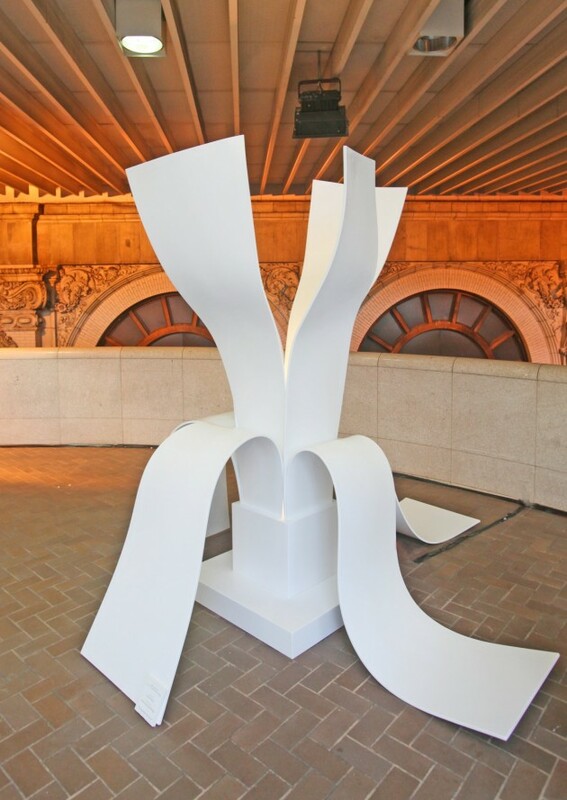 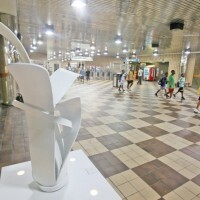 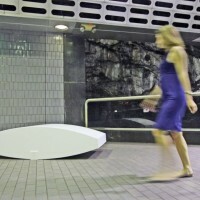 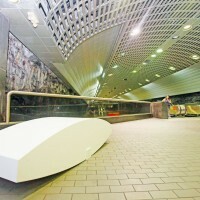 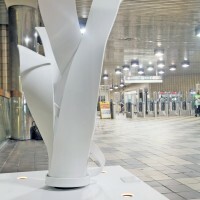 In MARTA train stations across Atlanta, residents are coming across surprising Corian® sculptures during their workday commutes. 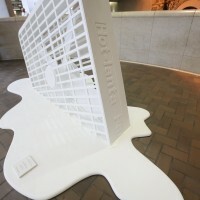 The exhibition, titled “Light Up Atlanta,” showcases the works of several of Atlanta’s best designers, who were asked to create pieces that evoked what Atlanta means to them. 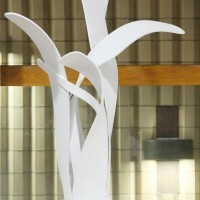 Commissioned by C.H. 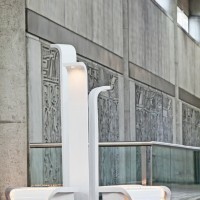 Briggs, a local building products distributor, Light Up Atlanta features eye-catching designs ranging from a glowing interpretation of a heart to an inventive bench to a southern heat-inspired melting fan. 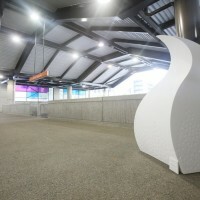 Each piece is made with DuPont™ Corian® and is backlit to emit a soft glow.